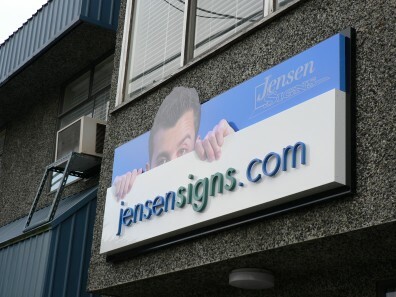 3 Dimensional letters really help your business to stand out in a crowd. 3D letters are available in many forms, styles, colors and sizes. Flush mounted or pin mounted with spacers. Illuminated or Non-Illuminated. They all look fantastic! 3 Dimensional Plexiglass letters are cut by either water jet or computerized router. We can use our standard fonts or your own custom letter style and logo. Available in a wide variety of styles and colors. You can either choose from the selection of standard acrylic colors or we can paint them to your company Pantone Color Number with a durable baked enamel finish. 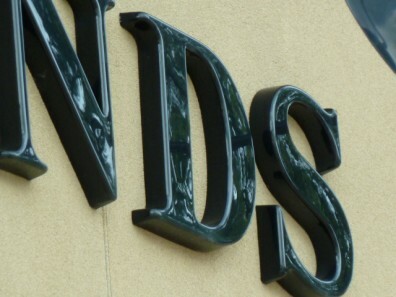 Plexiglass letters can either be flush mounted directly to the building surface, or they can be pin mounted with spacers so that the letters are floating just off the surface of the wall they are installed on. 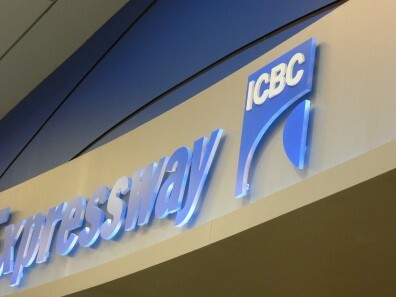 Excellent for exterior storefront signage or interior architectural signage, such as a corporate name and logo behind reception area. Available in 1/4" - 1/2" - 3/4" thickness. 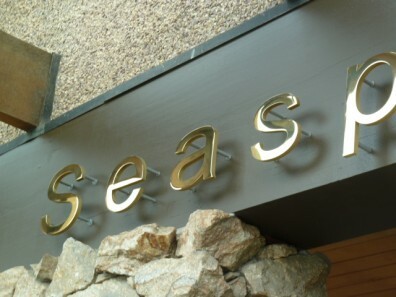 These stylish brass letters are cut by high pressure water jet. We can use our standard fonts or your own custom letter style and logo. Available in a natural brushed finish or a polished finish with a clear lacquer coating. Each letter has small mounting pins on the back side, and look great installed with spacers so the letters are floating just off the surface of the wall they are installed on. 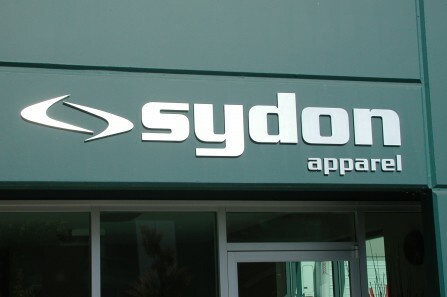 Excellent for exterior storefront signage or interior architectural signage, such as a corporate name and logo behind reception area. Available in 1/4" or 1/2" thickness. These stylish aluminum letters are cut by either water jet or computerized router. We can use our standard fonts or your own custom letter style and logo. Available in a wide variety of colors and finishes: solid color letters with a durable baked enamel finish or in natural brushed aluminum or polished aluminum finishes with a clear lacquer coating. Each letter has small mounting pins on the back side, and look great installed with spacers so the letters are floating just off the surface of the wall they are installed on. Excellent for exterior storefront signage or interior architectural signage, such as a corporate name and logo behind reception area. Available in 1/4" or 1/2" thickness.